Sreeni who leads Neelambari is an engineer by qualification. After graduating from the prestigious IIT-Kanpur he had a successful career in the automation industry for seventeen years in middle to senior management positions. His role as head of international sales took him to nearly fifty countries across the world, an opportunity he cherished more for the cross cultural exchanges than for business garnered. Bordering on forty, he quit his career and headed back to his dear little village to create Neelambari, as a purposeful vent for his passion for Kerala’s (especially Peruvanam Gramam’s) art, culture and history. 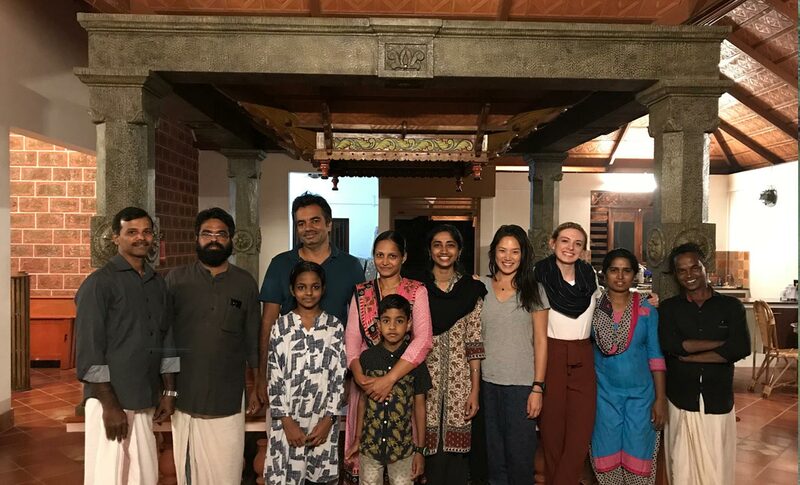 The mainstay of Neelambari however is his wife Meera, who cooks delicious central Kerala cuisine for Neelambari’s guests and delights in their comfort and happiness during their stay. 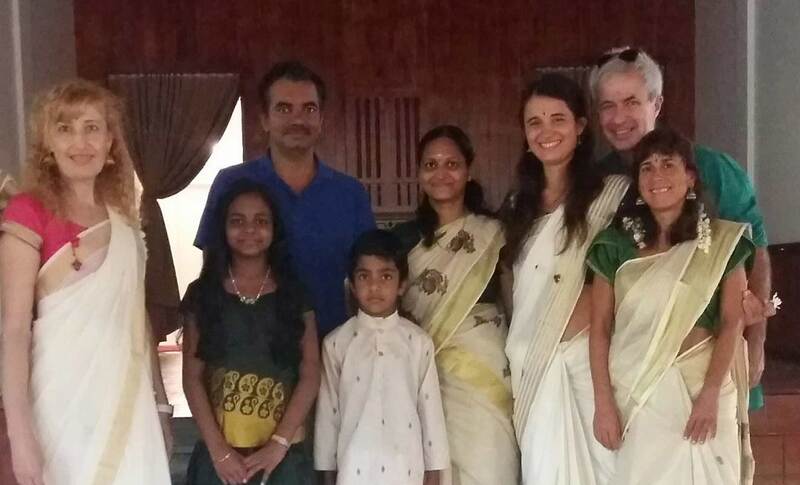 Sreeni and Meera are ably supported by a team of locals from the village. The endeavor to employ local inhabitants of the village, especially socially and economically challenged women, at Neelambari began as a social responsibility effort by Sreeni in his venture. However he soon discovered that any little contribution he made to the community was always returned manifold. For all its pretension of helping the village community, Neelambari has gained immensely by their generosity and wholehearted cooperation. The lovely and affable team at Neelambari comprising Savithri, Viku, Suresh, Bindu, Geeta and others have lent Neelambari its unique brand of warmth, charm and hospitality that is cherished by each of its visitors.